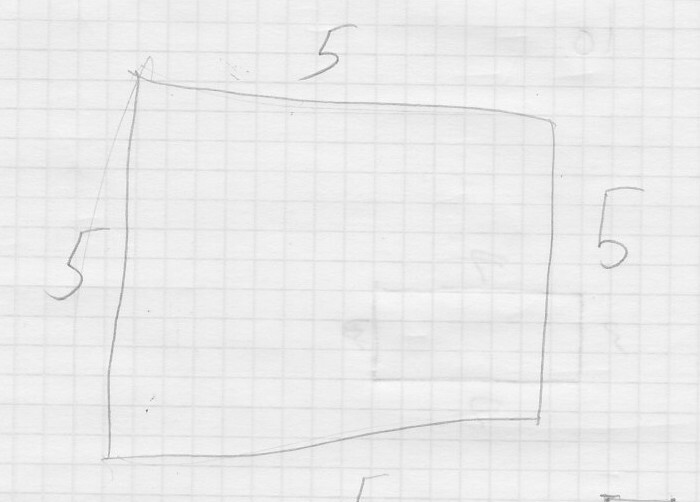 I have been reading many blogs lately, some of which have lead me to Benezet’s experiment, A Mathematician’s Lament, and reminded me that “Perplexity is the goal of engagement.” As a result, I have adjusted how I am approaching the super-speedy-but-in-depth review of Algebra One I am doing this summer for one of my tutoring students. I know, that sounds like an oxymoron and it definitely is. I had planned a lovely, and still too short, 10 week course based on one of Geoff Krall’s Problem Based Curriculum Maps when I found out my student (I’ll call him Josh) was going to be gone much of the summer at various camps and on vacation. What to do? My current approach to solving the speedy-but-in-depth challenge is to begin by helping Josh obtain a solid (and dare I hope, intuitive?) grasp of functions and relations, using the lessons outlined in the Algebra I curriculum map. I also hope to finish the initial linear and quadratic functions sections and still have a couple of days to look over the Algebra II textbook so I can pre-teach some of the concepts. I know, I know; summer is shorter than I think. But back to the graphing exploration. As part of my recent reading frenzy, I came across Fawn Nguyen’s cool Des-man lesson, in which she very creatively uses the Desmos online graphing calculator. (So fun!) 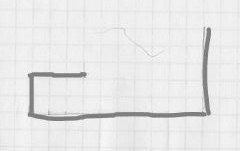 I plan to work Fawn’s Des-man lesson in later, but for now I created a simple graphing exploration activity I will use to introduce Josh to the unit on functions. Although my activity doesn’t start with a problem per se, I hope to get him intrigued (if not perplexed) about what makes linear, quadratic, and other functions change before we start a more in-depth conversation. The activity starts with two graphing explorations, one for a series of linear equations and one for quadratics, and then has a blank template that can be used for as many student explorations as desirable. 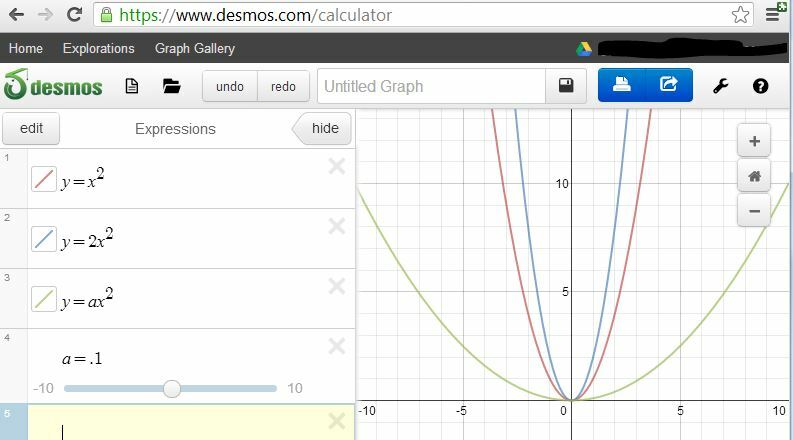 In the first two explorations I plan to teach Josh how to use Desmos to enter equations, add a slider for variables, and record observations about the graph of each equation. (Okay, after about 3 minutes he will probably be teaching me how to use Desmos, but I have to start somewhere!) At the bottom of each page are questions intended to provoke thoughtful reflection on his part (I can dream, can’t I? ), or at least remind me of the questions I wanted to ask. It’s easy to see when Josh is intrigued and engaged (or not), so I will get immediate feedback from a student perspective. I’ll let you know how it goes. Meanwhile, if you have feedback, comments, or questions, please leave a comment. Thanks! 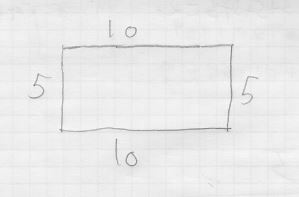 This entry was posted in Tutoring and tagged Algebra, Equation, Geometry, Graphing calculator, Linear equation, Math, Quadratic function, Student on June 29, 2013 by galenaylor.